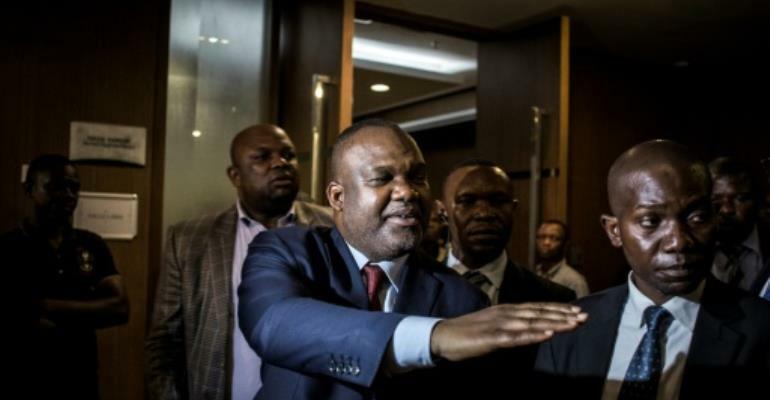 The head of DR Congo's electoral commission on Saturday denied US allegations that he was involved in the embezzlement of funds intended for the country's presidential election. The United States on Friday imposed new sanctions on Corneille Nangaa and two other Congolese officials who monitored last year's polls. The Treasury Department froze Nangaa's US assets. Washington accuses the trio of corruption and of obstructing democracy in December's presidential election. "I have never been involved in any kind of corruption," Nangaa said on Twitter on Saturday. "We acted according to the guidelines of the (electoral commission) board and under the control of the parliament." The US Treasury sanctions also target commission vice president Norbert Basengezi and Marcellin Mukolo Basengezi, a son of Basengezi who is an adviser to Nangaa. The election saw Felix Tshisekedi controversially declared the winner, with the blessing of outgoing president Joseph Kabila. It marked the country's first peaceful handover of power since independence from Belgium in 1960. Fellow opposition leader Martin Fayalu accused Nangaa of rigging the results.